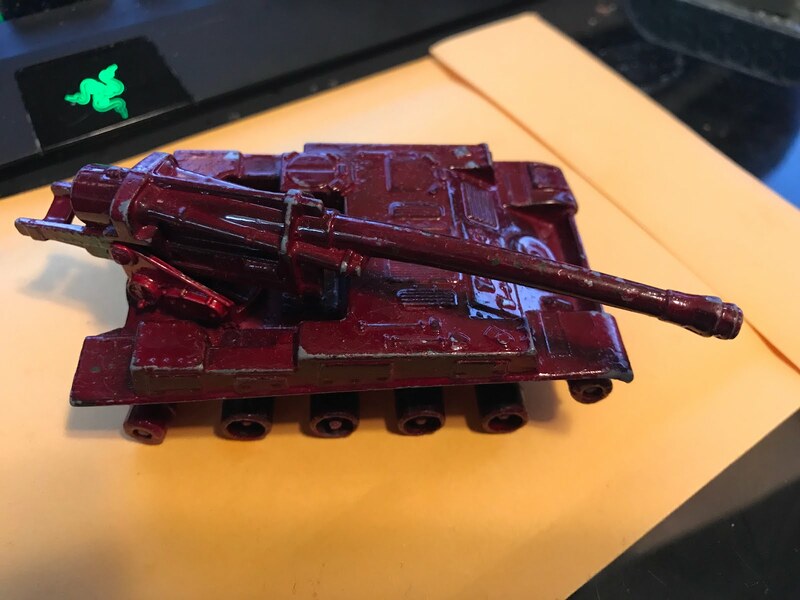 Tonight I'm throwing away some old broken toys, including this die-cast howitzer that I inexplicably painted red with old model paint sometime in my mid-teens. I'm torn my my relatively recent and ongoing urge to toss aside the detritus of my life. On the one hand, it's nice to get rid of things that simply take up space without offering any value. On the other hand, it feels like I'm finally acknowledging my mortality. Maybe it's silly to get so riled up over old toys, but at some point this thing (and others like it) brought me joy, and it feels like betraying the me that was to let it go.